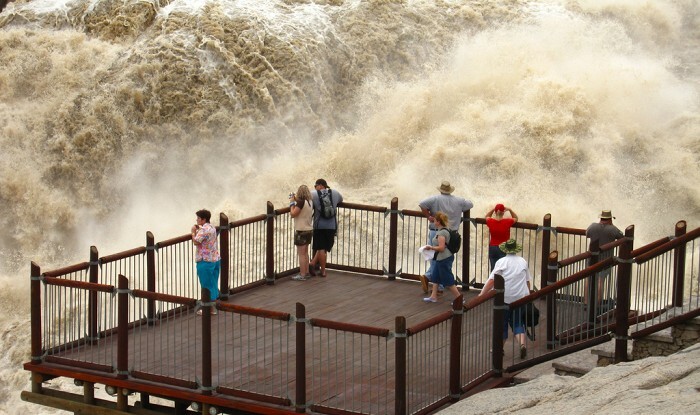 Augrabies – Augrabies Falls National Park (AFNP) in the Northern Cape is expecting the Orange river to be in full force over the next week. After 2 weeks of rain around the country the power and force of the waterfall will once again live up to its name of “the place of Great Noise”. Watch this amazing video of the waterfall coming down. According to AFNP Park Manager Frans van Rooyen, “A peak of 820 cubic metres per second is expected between 22 March and 25 March 2014”. As the Orange River approaches the Augrabies Falls it divides itself into numerous channels before cascading down the 56 meter high waterfall. The river then continues its path through an 18km gorge. SANParks has encouraged all South Africans to visit the park in the coming week to see the waterfall in all its glory.